Although I don't like Dhoni nowadays in an Indian jersey.. must say he and staff have conjured up a miracle squad full of oldies and have beens. This is the story of the ipl. Team performance like never before in the sense that one guy always puts his hand up and wins it. 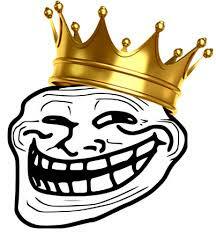 Bravo Billings Watson Rayudu and Dhoni (almost) and the consistent Raina. Amazing performance so far. Bangalore were a home team for today's game, but there were so many yellow shirts in the crowd. Dhoni is the only Indian relic left from the past era and people all over the country loves the man. Those who dont have accumulated on this forum to be relevant. Every single match they played so far- North to South, there has been hoardes of people coming out with yellow jerseys. Great time to be a CSK fan. Dumb politics robbed Chennai of the amazing experience to see the resurgence of this side. top of the table ..
we are playing one extra bowler ..if the management trusts jaddu to be our finisher , we will be in big trouble ..
if jaddu or bhajji cant bowl their full overs , drop one guy and bring a batsmen ..
@velu - get ready to be accused of being this female now . Your WhatsApp DP matches that girl. How? No personal jibes please. Control you hate... Consider this as a warning. this is really lame and stupid reason TBH .. Felt like he hinted at bravo when he said...its not rocket science to understand that wind is flowing in this direction, etc etc. We need to bowl better, though this game was more taken lightly because opposition had given up. You know, the only statistic that matters is # of IPL titles won. You must really love chess to spit pawns!! If India wins 1 more title will it be better than WI of the 70s and 80s. Even India's second WC trophy came under Dhoni's leadership and Dhoni was a match winner in the finals unlike some chotu who always choked in the finals. 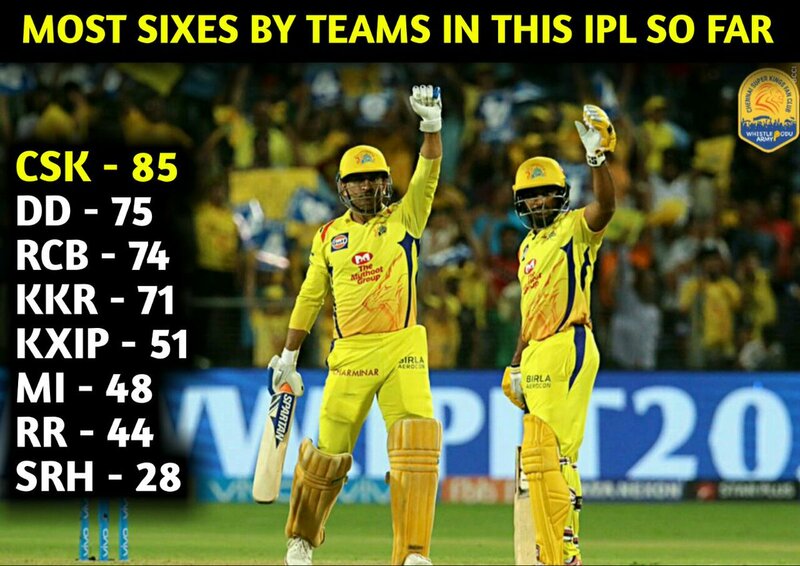 Also check the winning percentage of CSK its better than others. Also what about this season who is winning and who is fighting for the wooden spoon. Have some shame before typing . I know its hard becuase bambi supporter knows no shame and even switch sides when they are losing. What a load of bandwagoners. Your post has nothing to do with anything!! You just string across random sentences and sprinkle in 'keywords' like bambani, bandwagoners, chotu etc. If Mumtaz had a twin and Shah Jahan built another black Tajmahal will it be better than the Eiffel tower. What is the difference between the crow and mumtaz's twin? Can bambani answer this? I suspect even he can't, in spite of his $$$$$$. What a band-wagoner he is! No one is living off past glories. I'm stating facts here. You know, facts, those uncomfortable little things that can be quite disturbing. Like the fact that Meiyappan was booked for betting and abetment to spot fixing and passing on inside information. The only stat that matters is who won the IPL how many times. The rest is just noise. Maybe white noise, but still noise. Reading poetry for fun ,is that even possible? Would Mumtaz and Shah Jahan's twins play cricket? Would bambani hire them instead of the pandyas? If bambani builds a bambani mahal, Would it be a monument of eternal love or $$$$$$$$$? Will the crows love lungi or do they hate all enna rascala like their dodgy fingered bihari anna . Lungi Ngidi should permanently replace Tahir . 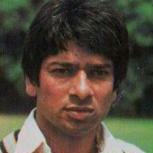 And Asif bowled far better than thakur , so he shld be there as well. I have said this a thousand times before and I will repeat it again - CSK has the single largest dedicated fan following among all IPL teams. Mumbai might come close or even surpass when it comes to the number of casual fans, but CSK beats them all when it comes to keen fandom. I am talking about folks who spend their Rupees to buy game tickets, show up at team practices, are active on social media and cricket forums (FB, Whatsapp, Twitter, ICF), consume team content (Youtube, IPL site) vociferously etc. Chennai loves it cricket and with CSK, we finally have a vehicle to expend all the cricket fandom energy that has been building up over the years! All of the above is pure conjecture on your part. Do you have any way of establishing that CSK has the largest dedicated fan following. All the remaining home games are sold out. That too at a time when there is scant chance of making it to the eliminators. Tickets for KKR games, however, are still available. Clearly, Bieber is twice as influential. Twitter is such an amazing tie breaker. Ok, so it looks like we've lost our 2nd match, not a big deal, as we are still right on schedule... no further loss from here only!!! Janab, you've lost 'your' 3rd match. The second loss was against might at home. Sorry cant keep up with all the winning we do, loss r so few hard to remember!!! It is said that negative thoughts/emotions are a stronger mnemonic.